Radiation therapy destroys cancer cells by directing a high-energy beam to the cancer site with minimal harm to healthy cells. One of the most common treatments for cancer, radiation therapy is targeted and minimally invasive compared to surgery or chemotherapy. Often, radiation treatment is given concurrently or in combination with other forms of cancer treatment to maximize positive results. Radiation does not affect cancer cells right away—it takes days or weeks of treatment before cancer cells deteriorate. Radiation continues to affect cancer cells after treatments are complete, and are given daily Monday-Friday for a period of time prescribed by your radiation oncologist. For written directions to the Radiation Oncology Department at Cooley Dickinson Hospital or for more information about our providers, parking, financial assistance and a list of frequently asked questions about the treatment, you can download a printable PDF here. 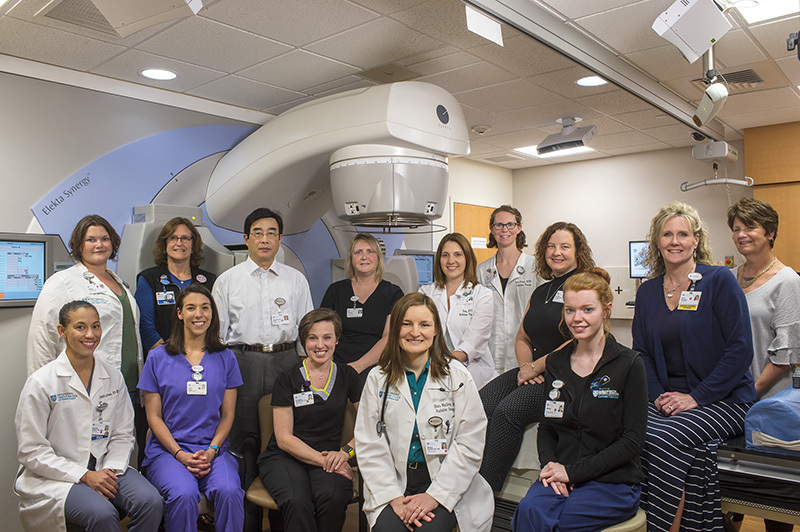 The Radiation Oncology Team: Mass General Cancer Center at Cooley Dickinson Hospital, Summer 2018. Tumors are painstakingly targeted during radiation therapy to make sure that as much healthy tissue as possible remains unaffected, but these precise calculations can be skewed to some degree by movement due to normal breathing during treatment. The Mass General Cancer Center at Cooley Dickinson Hospital now employs a promising new technique known as Deep Inspiration Breath Hold (DIBH), which allows radiation beam emitters to be adjusted to compensate for patient motion during treatment sessions. 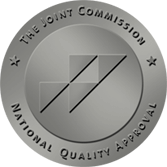 The practice, which can be used in treatment of lung, liver and other thoracic cancers, has received very positive clinical reviews and is recommended by The American Society for Radiation Oncology (ASTRO). The technique has been noted as especially effective in sparing healthy tissues in the heart during treatment of cancers of the left breast. – William (Bill) Hazlett, Gill, Mass. 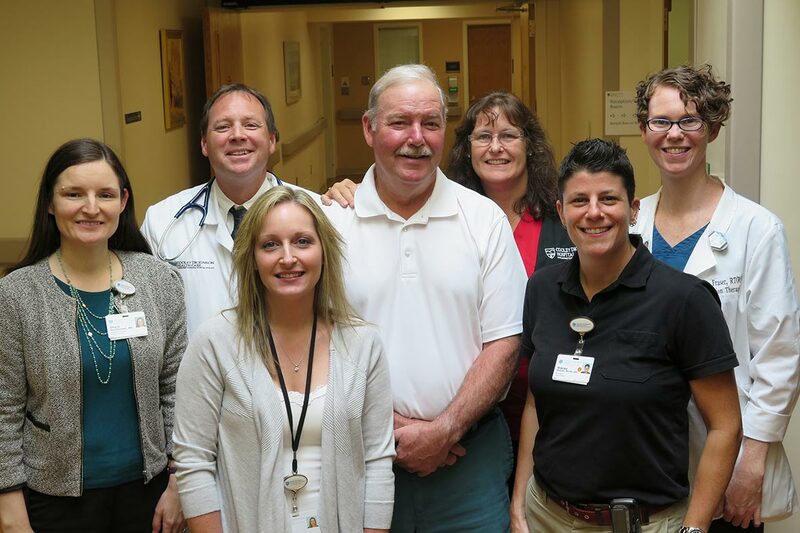 Pictured with some members of his care team, Bill Hazlet, center, with Dhara MacDermed, MD, radiation oncologist; Lynn Jarry, coordinator, Barrett Newsome, DO, medical oncologist; Michelle Rogaliski, RN; Stacey Madden, clinical dietitian; and Kate Fraser, RN.